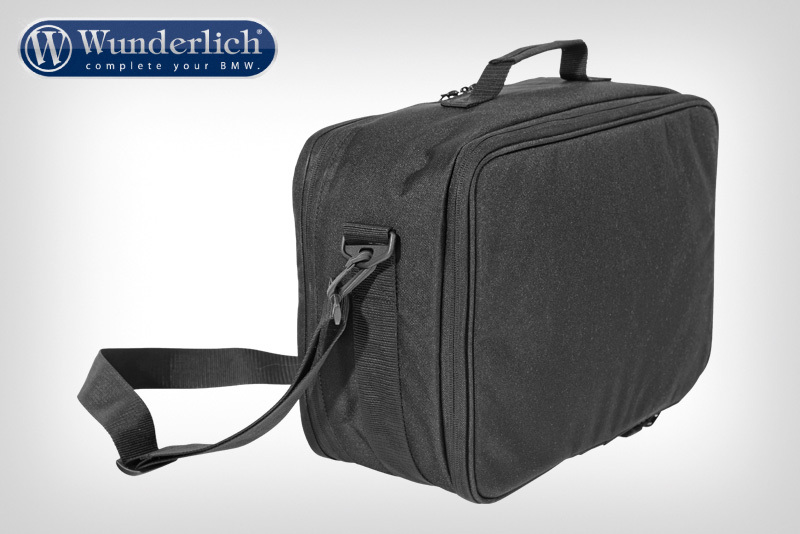 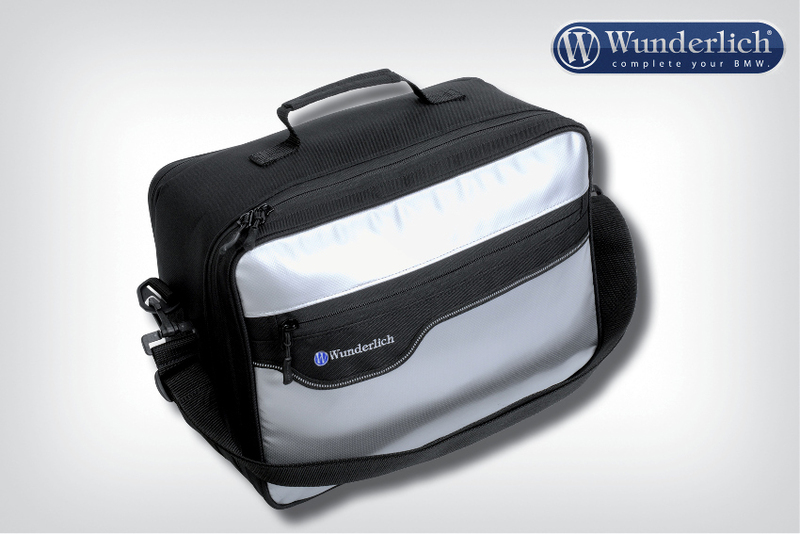 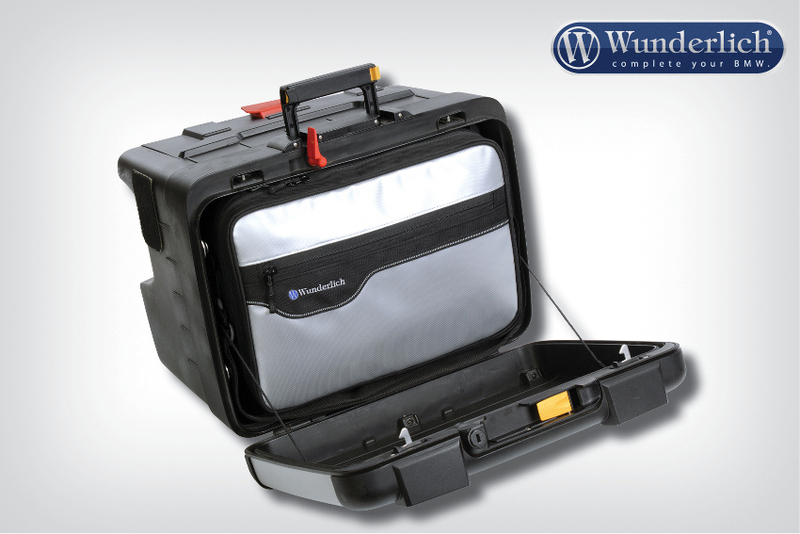 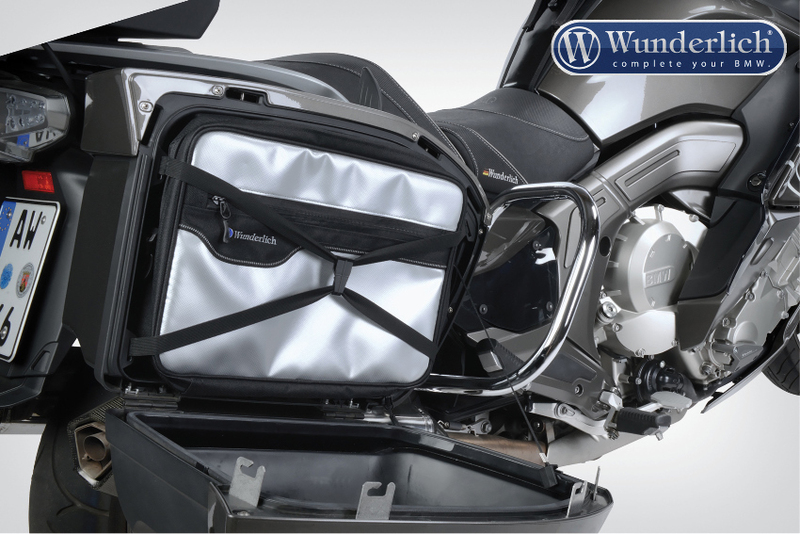 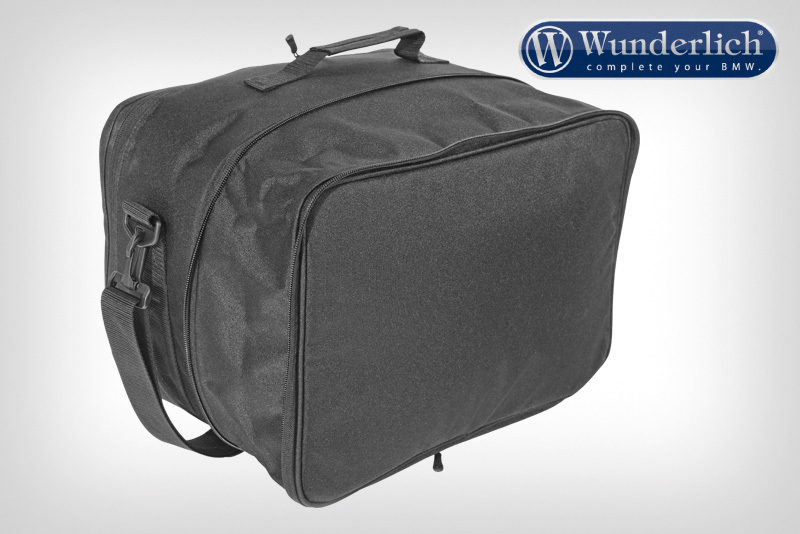 Our robust, but still stylish bag is THE universal inner pocket for all common motorcycle side cases. 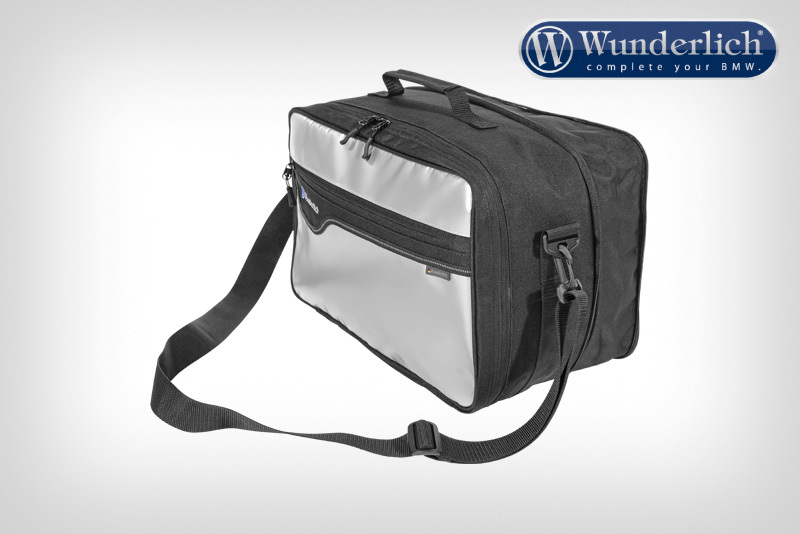 Thanks to the wrap-around zipper it is extendible from 18 to 26 liters capacity. Its flexible outside dimensions from about 30 x 40 x 15 cm, resp. 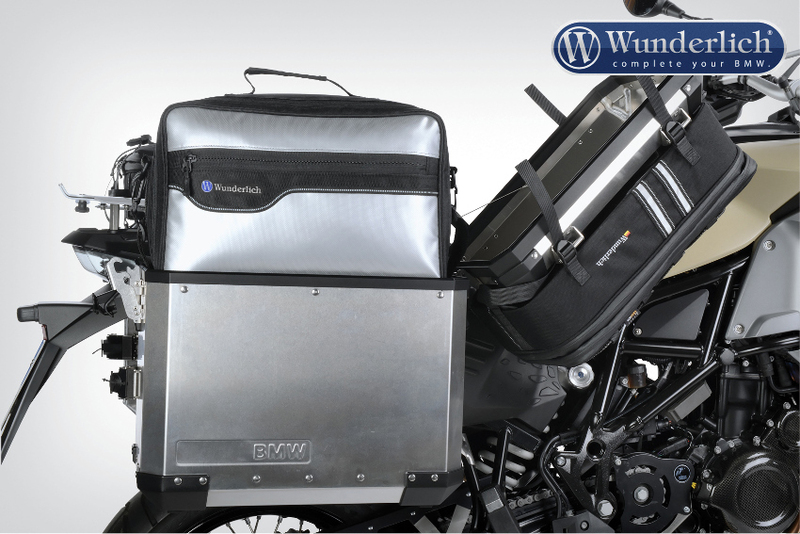 30 x 40 x 22 cm allow the use in all original BMW- and Hepco&Becker side cases. 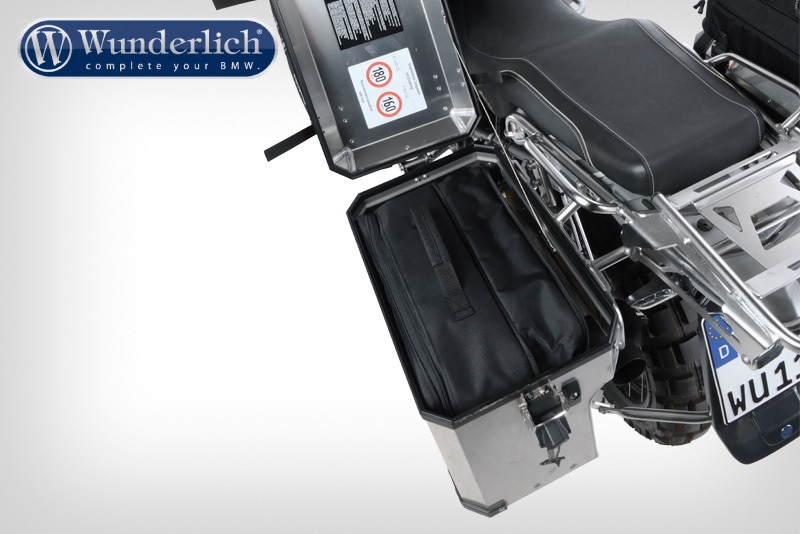 Even where the cases provide less interior space due to the exhaust system, the bag easily fits into the inside dimensions. 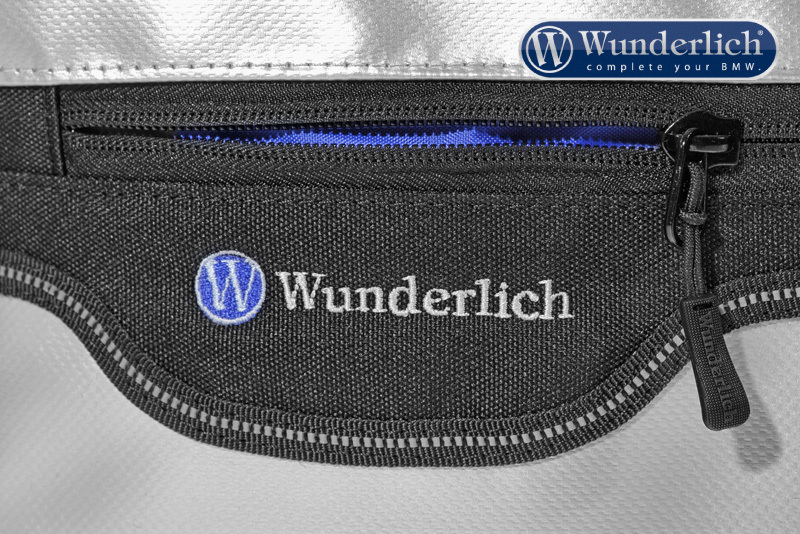 The useful outside pocket can be tightly closed via zipper and keeps maps, books and more up to a size of DIN A 4. 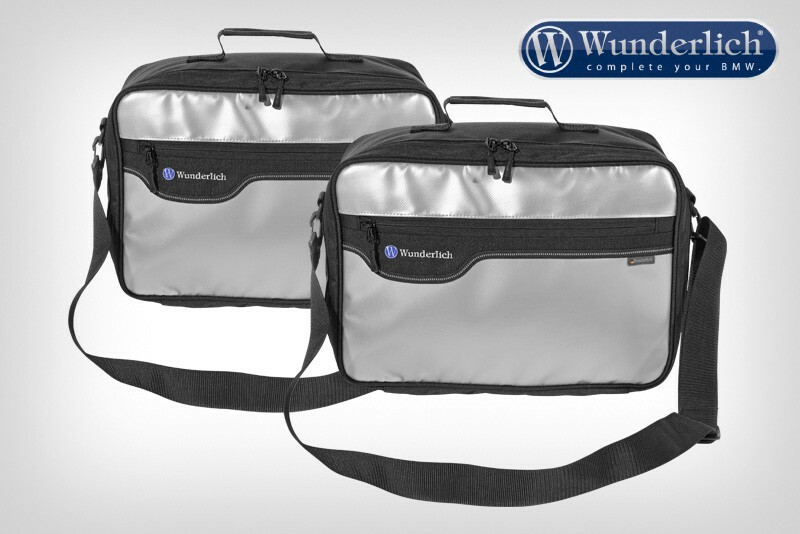 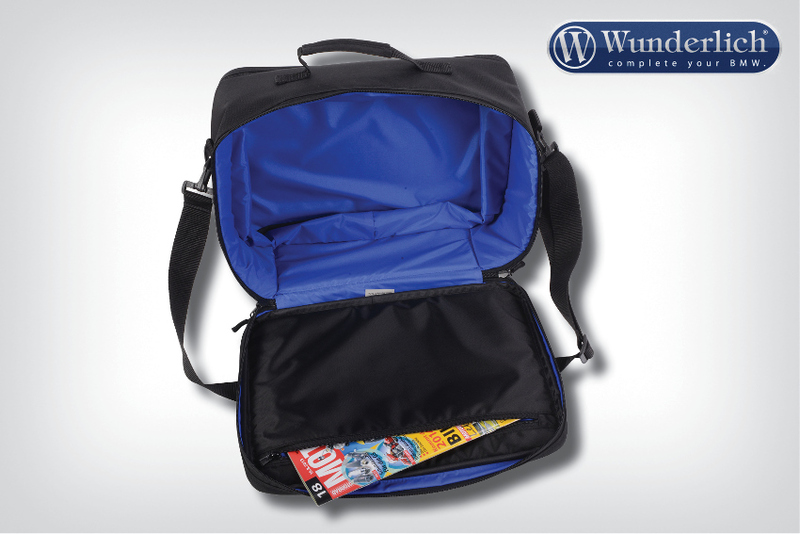 The padded inner pocket has the same size and is perfectly suitable for Notebooks, Tablets and more.